Did you know that on average, direct mail marketing yields a 13-to-1 return on investment ratio? That’s right, a simple direct mail marketing campaign could yield huge returns for you. But only if you do it right. Running a direct mail campaign isn’t something you should jump right into without first knowing a bit of strategy. There are certain things you might see from other direct mail campaigns that are simply not effective. 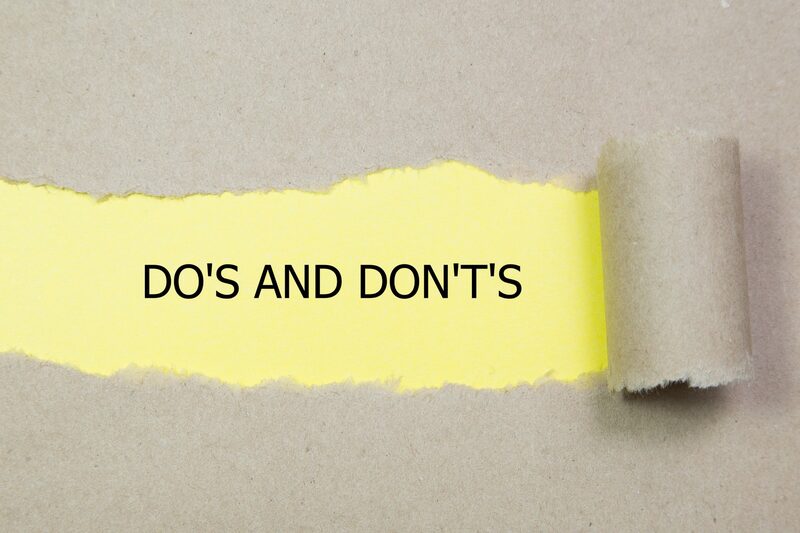 In order to help you prevent those same mistakes, here are a few important dos and don’ts if you want to run a successful direct mail campaign. The clearer the image of your audience, the better. Before you send anything out for printing or even hire wholesale printing services, you need to know exactly who you want to market your business to. Come up with a list of names and addresses where your material will be sent, and only after that point go to the printer. List companies can help you profile your existing customers so you can find like people in your targeted area. Have you ever received a letter in the mail claiming “FREE MONEY” across the envelope, only to find there’s nothing of the sort available? Direct mail is a method of marketing that allows you to build trust with your customers, not trick them into thinking you can do something that you actually can’t. While you absolutely shouldn’t make false claims, it’s important to give customers an incentive to actually utilize your services. Before you move forward with digital printing, it’s important that you determine what kind of incentive you’ll include. Will it be a coupon? A special discount? What will make your prospect contact you today and now when they need a service you offer? These are the details that matter. If you’re mailing to potential customers, it’s important that you fully explain what exactly it is that your business does. If you leave out crucial details like what kind of services you offer, you’re going to find a lot of confused customers or a lack of new customers at all. Digital printing can make direct mail marketing easy, but don’t forget that the content printed is what matters most! Do not hesitate to contact us to get started on your project! Variable Data Printing: What Is It and How Is It Used? When it comes to reaching out to your customers, your primary objective is to engage them. Like many businesses, you have a number of people of different ages and backgrounds on your mailing list. This might be hard to personalize your mailed content. Variable data printing might be the solution to your problem. In this digital age where we can optimize just about anything. Don’t forget that mail and printing services haven’t been left in the dust. In fact, thanks to variable data printing, modern printing services are more sophisticated and flexible than ever. VDP, also known as one-to-one marketing or personalized printing, is one of many digital printing services. However, this type of printing allows printed information to vary from one piece to the next, within the same order. VDP uses additional information from a database on file to customize the content of each piece based on customer information. Age, gender, and interests are just some things that may change the layout of the content. Altering content will make the marketing piece more relevant to the prospect. Why is variable data printing useful? This technique is primarily used in direct marketing, customer relationship management, advertising, invoicing, and applying addresses on self-mailers, brochures, and postcards. Some companies completely forego customization for the sake of convenience. For example, a letter that starts with “Dear Customer” isn’t likely to see much engagement. In the past, even changing something as simple as a name from letter-to-letter presented a huge challenge. But with variable data printing, your organization’s printed content can be custom for the recipient. When your messaging requires that personal touch, digital printing services like VDP are your best bet. VDP employs the use of software to customize portions of printable content. Some things that could vary depending on the customer include font size, color, and style, as well as the addition of photographs (color or black and white), or other graphics. The VDP software registers the need for customized artwork on a particular page and pools information from the customer’s profile in a separate database in order to choose an image that is relevant to them specifically. 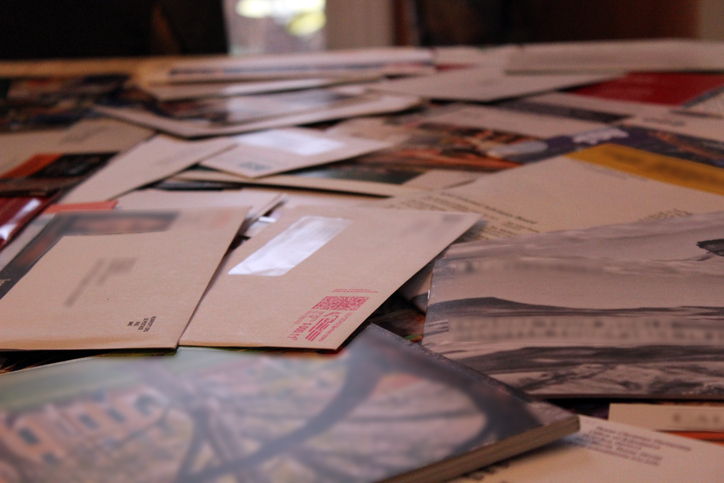 Typically customers say that only 31% of direct mail contains useful, personalized information. Integrating custom information may help your customers in the long run. For example, if a travel agency is offering a deal on trip consultations, they won’t want to send out the same offer to each customer. They should know what kind of places their customers like to travel to. One customer might be receive a custom brochure that offers trips to European countries. While others may be receive offers for the American southwest. The idea is to be relevant to what the customers wants and needs are, that is what will drive higher response rates. Variable data printing may seem like a complicated undertaking for a direct mail communication, but it will increase response rates! It will allow you to narrow down your target market, personalize the communication to your target market and give personalized offers/promotions that are relevant to that marketing…which will in turn increase your response rates! Let Modern Mail and Print Solutions help you better your mail marketing strategy to increase consumer engagement and increase response rates.